Snefro Spirit measures 33m and offers one suite and eight double cabins comfortably accommodating 18 people. All cabins have individual controlled air-con, mini bar, safe, ensuite bathrooms (WC/shower), and two towels per guest. The spacious dining and salon areas are air-conditioned and have a DVD/flat screen TV and stereo. 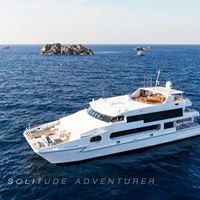 Emperor Asmaa is designed with the diver in mind, comfortably accommodating 20 people in 10 twin-berth cabins (4 x Upper Deck), all ensuite with individual air conditioning and two towels per guest. There is a large dive deck and sun deck. Measuring 37m, Emperor Superior offers 9 twin-berth (1 x Upper Deck), 2 bunk style and 1 double cabin and a compact single bed cabin, comfortably accommodating 25 people. All cabins have air-con and ensuite bathrooms (WC/shower) and two towels per guest. Welcome to the amazing waters of the Indonesian Archipelago!!! 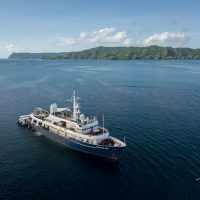 With the launch of the Dewi Nusantara in 2008 we set a new standard of comfort, design, space, service and safety for dive live-aboards in Indonesia. Welcome to Thailand Thailand is known as "The Land of Smiles" for its warm and friendly people. This island paradise lies only 8 degrees north of the equator and enjoys a tropical climate year round.